Are you staying in town too this weekend? Or did you just stumble into town? Here are happenin’ music shows you’ll want to check out in the next few days. 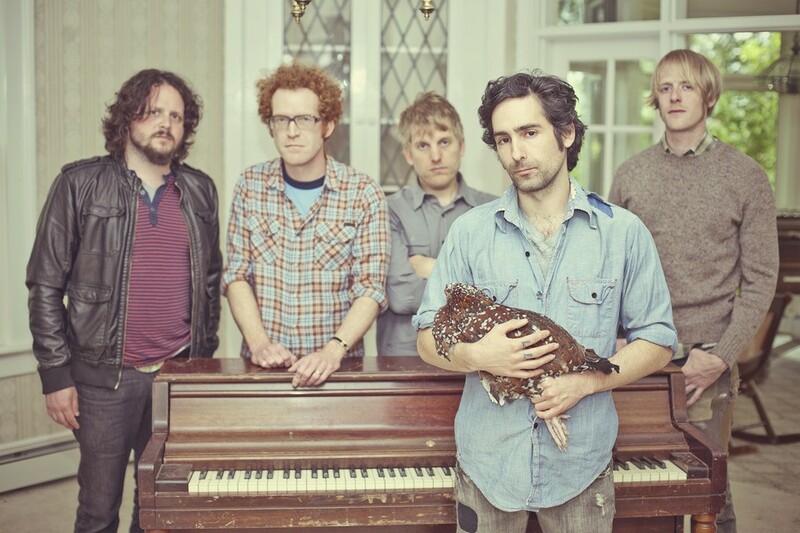 Blitzen Trapper keeps on touring, and this time they're in Sandpoint. If it seems that Blitzen Trapper is always touring through Spokane, know that the Portland-based rootsy rock act is here about once a year … or more. Blitzen Trapper just hit up the Bartlett, but if you missed that show, it’s time to haul buns to the Hive in Sandpoint tonight. Cost is $15 and it all begins at 9 pm. Radkey, who play the Bartlett tonight, doesn’t want you to think of their rockin’ three-piece as some sort of shtick. Yes, they’re three brothers — Dee, Isaiah and Solomon Radke — and they did start the band five years ago as teens, but they mostly want you to notice their extremely catchy garage punk tunes. Originally from St. Joseph, Missouri, where they were home-schooled, listening to their father’s punk-filled record collection over and over, the group’s career took off in 2013, when after a South By Southwest festival performance, they were signed to tour Europe. Last year’s debut, Dark Black Makeup, shows off the band’s strengths — Dee’s beautiful baritone, paired with driving rhythms and memorable melodies. Cost is $10 at the door at 8 pm. It seems that LeBron James isn’t the only big deal to come out of northeastern Ohio. Saturday, Cleveland’s own Bone Thugs-n-Harmony come to the Knitting Factory and they have much to celebrate — their city’s basketball team finally taking home a national championship, and of course, America’s independence. The show starts at 8 pm and the cost is $40. Read this week's story on the group right here. Happy Fourth of July to all! Be sure to eat all the hot dogs, hamburgers, steaks, Jell-O, ice cream, popsicles, watermelon and corn on the cob you can stomach, it’s what our founding fathers would have wanted. Also, listen to some patriotic tunes (see below), and check out our Independence Day playlist.